HarvestWild offers fully guided private land wild turkey hunts. 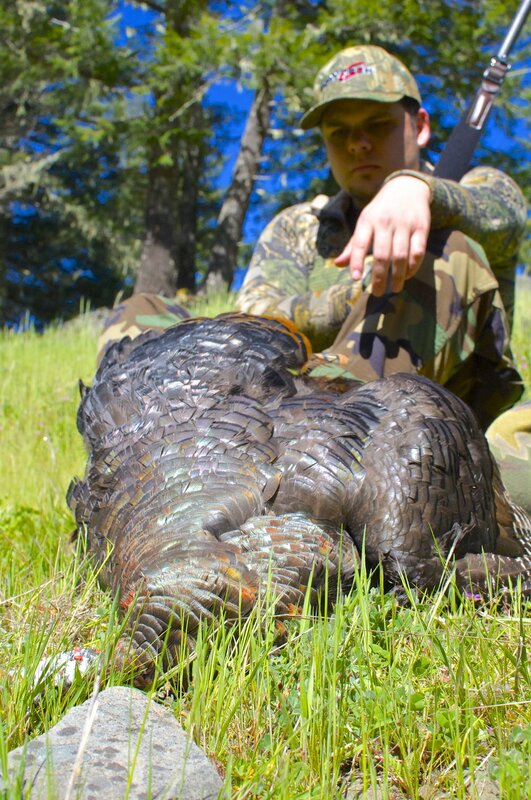 Private land turkey hunts take place 20 miles East of Redding on a 5,000-acre ranch. Turkey hunting has the thrill of September elk hunting in the spring. There’s the locating, the setup, the calling, hearing and observing their response to a challenge or a hen cluck, this makes hunting for these wild birds exhilarating and memorable. Nothing gets your heart pumping more than a gobbler drumming, gobbling and strutting into the decoys. The most important thing to consider is concealment; face mask, gloves, and full camo apparel is mandatory. The turkeys are vocal and this makes for a truly exhilarating hunt. Check regulations for season open and closing dates, usually the last Saturday in March through the first weekend in May. Note, pricing is based on 2 hunters. 1 hunter options available please email to inquire.